Welcome From Tanglewood! We are now Super hosts! 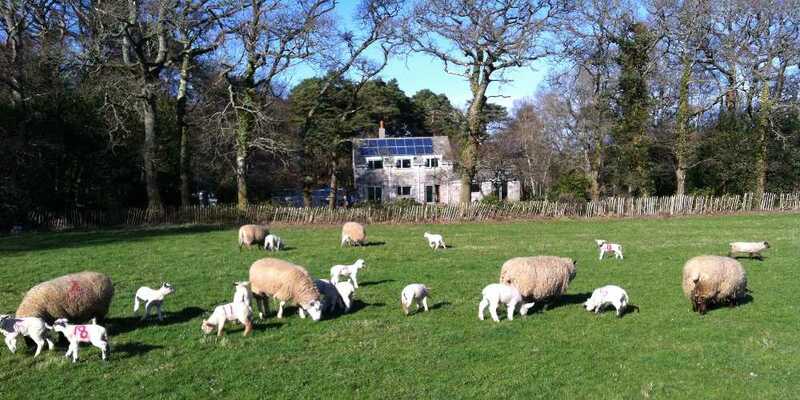 Tanglewood farmhouse has 4 acres of woods and streams and 12 acres of grassland. There are plenty of great places to see, in an area with beaches, undulating hills and the highest floral diversity in the UK, not to mention the Jurassic Coast and its fossils. Local heathland is a protected European habitat, accessible on foot 300 m from Tanglewood, or take one of our walks to Wareham a mile away. There are lots of other places to visit, with excellent scope for eating out. Booking our guest apartment or shepherds hut is easy too. Easter is a perfect time to enjoy a day out in Dorset and there are wonderful selections of springtime events happening around our glorious county. There are egg hunts and Easter bonnet parades, craft fairs and kids activity days, as well as traditional Easter Sunday feasts to enjoy some of our fabulous local produce. If you’re looking for somewhere to enjoy a lovely Easter break away, Dorset promises everything you need to spend some quality time with your friends or family. By spending your Easter break in Dorset, you’re sure to make memories that will last a lifetime and have you returning time and time again. Join in the annual Brewery Square Easter Egg Hunt - simply search for the eggs hidden around Brewery Square and return your form for a free Easter prize! Whatever your preference we’re sure that you will find plenty of fun and excitement from our fantastic visitor attractions in Dorset. 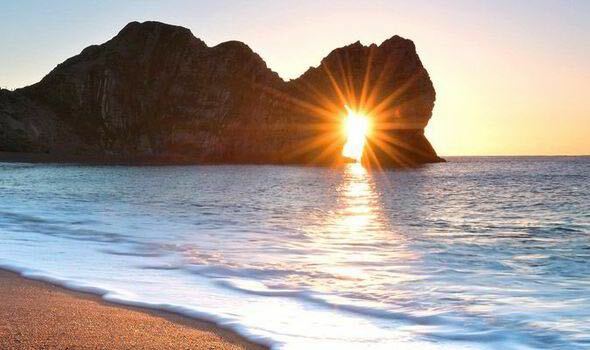 Easter is a fantastic time to see Dorset at its very best, with spring in full swing; Dorset is bursting into life with stunning scenery and breath-taking wildlife to seek out. Enjoy the spectacular spring colour of the camellia groves and magnolias at Abbotsbury Subtropical Gardens. The Gardens are a mixture of formal and informal, with charming walled garden walks and spectacular woodland valley views. Get your walking boots on and explore the abundance of walking routes or feel the warm spring wind through your hair and enjoy Dorset’s incredible network of cycle routes. Dorset is the perfect place to bring your wonderful mum this Mother’s Day and is the ideal spot for a bit of relaxation. There are some fantastic places in Dorset to pamper your mum – why not try Summer Lodge Country House Hotel and Spa near Dorchester, Knoll House Hotel at Studland or the George Albert Hotel and Spa near Dorchester. Indulge in a variety of treatments followed by a luxurious champagne afternoon tea and relax while your every need is catered for. If your mum loves flowers, take her for a stroll through one of Dorset's splendid houses and gardens and enjoy the spring bloom. Athelhampton House and Gardens is a lovely day out, with outstanding topiary pyramids in the walled gardens, an aromatic kitchen garden and riverside boardwalk to explore. Does your mum love the countryside? Catch the ferry to Brownsea Island and enjoy a walk through the woods, then treat her to a cream tea in the café. Abbotsbury Gardens is celebrating spring, feel your spirits lift as you see the beautiful magnolias, camellias and other spring flowering shrubs. After a climb up the hill to see stunning views of Chesil Beach, enjoy lunch or afternoon tea in the Colonial Restaurant. Is your mum an animal lover? Enjoy a wonderful family day out at Farmer Palmer's Farm Park, perfect for Mums with younger children – download the voucher from their website and your mum gets in free! Dorset has an extensive selection of cafes and restaurants and you can be assured they'll be pulling all the stops out for Mother's Day! So take this opportunity to say thank you to your mum by taking her out for lunch or dinner. The beautiful and historic Priory Hotel, situated on the banks of the River Frome in Wareham, is a perfect place to go for a luxury experience. The outside courtyard at The Orchard tearooms is a lovely suntrap with views across the pond to the Purbeck Hills. On a sunny day it is a great place to relax outdoors, or sit inside if it is a bit chilly! 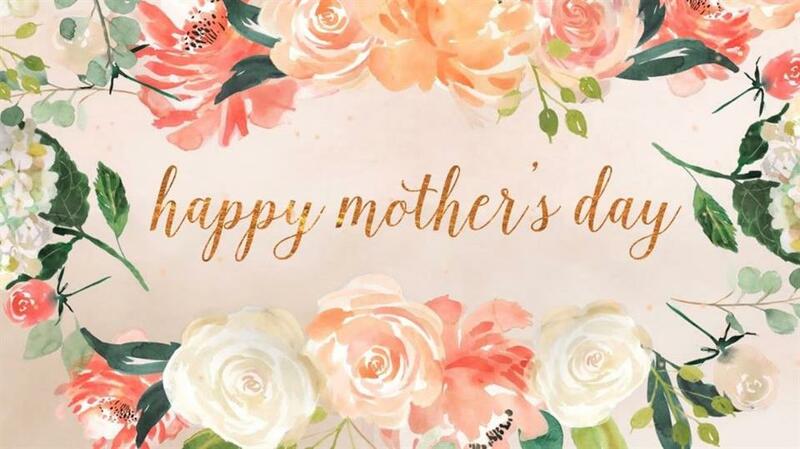 If your mum loves local food and seasonal menus, book a table for Clavell's Restaurant which is offering a fantastic mother’s day lunch and a mother’s day special high tea. If you have something special to celebrate why not try the champagne afternoon tea? Make the most of your precious time together and take an idyllic walk to discover Dorset’s many beautiful and charming landscapes, from secluded beachy coves to fairytale woods. Mosey round quaint market towns and have fun picking out a Valentine’s Day gift or stroll in awe around historic stateley homes and castles. Some of Dorset’s grand stately homes Kingston Lacy and Mapperton House are surrounded by inspiring and award winning gardens and are perfect for an intimate leisurely stroll to admire the exotic paradises that lie within the grounds. For a quirky twist, wander the hidden valleys and stunning cliff tops of West Dorset with your very own loveable donkey from Donkey Walking Adventures in Dorset. Your friendly companion will carry your basket and bubbly while you enjoy precious quality time together. Or how about creating a memory of an awesome coasteering adventure experience together and then indulging yourselves with a romantic cream tea at Love Cake!? With Cumulus Outdoor Adventures, you and your sweetheart can discover hidden coastal secrets together then reward yourselves with scrummy cakes and scones at Love Cake, located in the picturesque town of Swanage. If you’re searching for a welcoming home-from-home environment while on your break in Dorset, choose to stay in our lush countryside and enjoy a peaceful setting amidst gorgeous natural scenery. With amazing walks and outstanding nature on your doorstep, you’ll be able to relax and unwind, whilst benefitting from the hospitality and local knowledge of your hosts. Includes home grown "Breakfast Platter" for the first 2 mornings. All yours light, airy, warm self contained large private upstairs flat of farmhouse, with lounge, dining area & kitchenette. 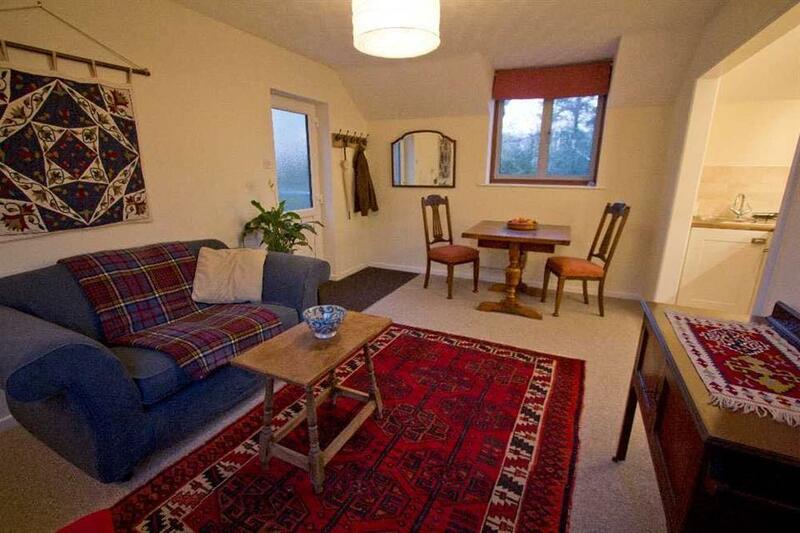 Sleeps 2 in double room with option to sleep 2 on the sofa bed in lounge and one on a put up bed. Looking for a quiet place to stay or bed and breakfast in the Purbecks? Look no further. 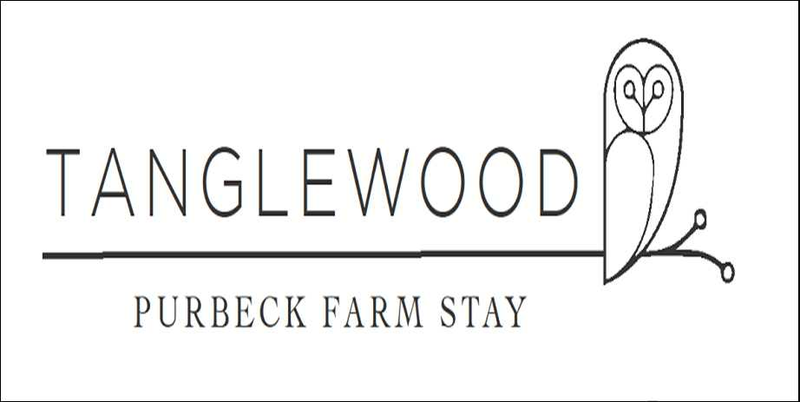 Tanglewood is perfectly situated in the heart of the Purbecks for that relaxing break. Booking is easy (from £69/night). There is a choice of a large and comfortable Guest Apartment (bedroom, bathroom, lounge-kitchenette), or a well-equipped Shepherd's Hut for more adventurous visitors. Book the Shepherd's Hut here. Like to know more about us? If you are interested in nature, Tanglewood is a perfect base. Within a rich local landscape, with reserves of RSPB, Natural England, the National Trust and Dorset Wildlife Trust, we also provide and run conservation websites from international level (for IUCN, in most European languages) to local communities and businesses. Our Arne Parish pioneers such sites.